Going to see one of the new productions of Cirque du Soleil LUZIA, turned out to be a really pleasant surprise. The show title is the combination of the words 'luz' and 'lluvia'. Light and rain (in Spanish), two of the main elements of the piece. Daniele Finzi Pasca is responsible for the concept and direction. Having Finzi Pasca in the creative team is a guarantee for quality and originality. 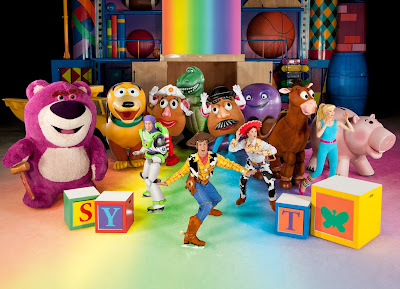 He is a recognized circus arts specialist as well as a scenic director and a complete artist. Luzia definitely, takes us back to that Cirque du Soleil that blew our minds and took our breaths away in the 80's. The lighting, each song onstage produced by Nortec Collective Bostich+Fussible team Ramón Amezcua and Pepe Mogt, lends heart and a lot of feeling into the show along with the colorful wardrobe design by Giovanna Buzzi. I say this because in contrast to recent years, now with Luzia, Cirque brings back the white Chapiteau, that intimate space with innovative, challenging, truly artistic circus acts like the one with juggler Rudolf Janecek who controls up to 16 pins in the air! Elements appear and disappear before our eyes not only contemplating rain onstage, there is also an oasis that comes and goes. Oasis where the performer Benjamin Courtenay presents an aerial straps number that simply leaves everybody mindblown. Getting in and out of the water reaching impressive visual effects. Evidently, each number and each artist has their own charm and merit. I am mentioning the acts that impressed me the most. The second song we hear in the show is tittled Tiembla la tierra. (The earth shakes); majestically executed by Majo and serving as background music to Adagio, a number in which the artist Kelly McDonald is suspended, carried up, down, to the sides, everywhere! to the beat of the music, truly moving. One of the best numbers in the show hands down. You cannot talk about México without talking about futbol. Things that seem simple like playing around with a ball to later balance it, suspend it while doing a back flip or break dance, is the creation of the duo Laura Bondo and Abou Traoré. 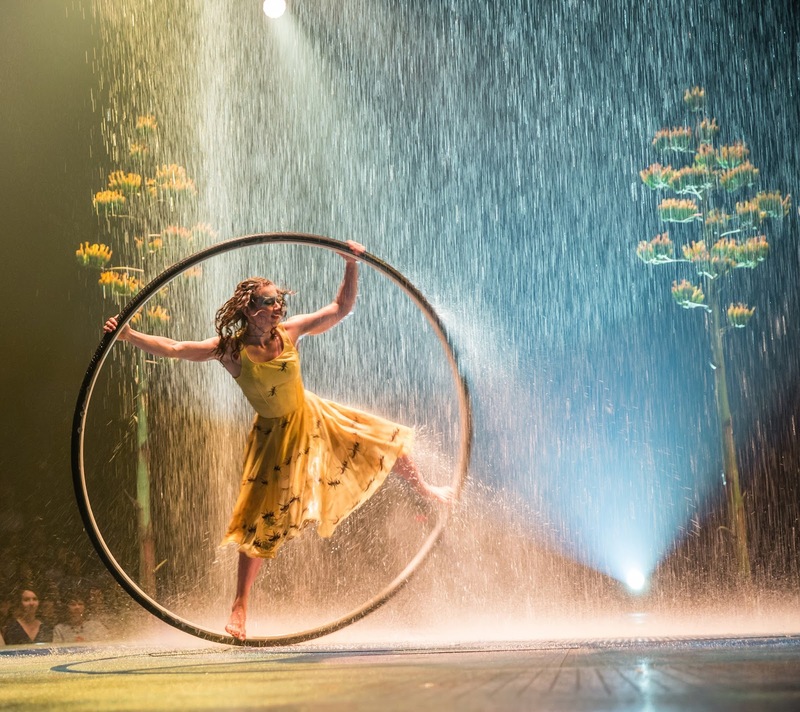 Luzia is a show for the whole family that should not be missed. It has a phrase that says "A waking dream of México". I think there is no better descriptor. To the Mexican audience in definite, wakes identity, pride and the reason why our culture is what it is. And to other audiences, it shows the center of all that is México. A country with great history, rich in every way and with a lot to offer. 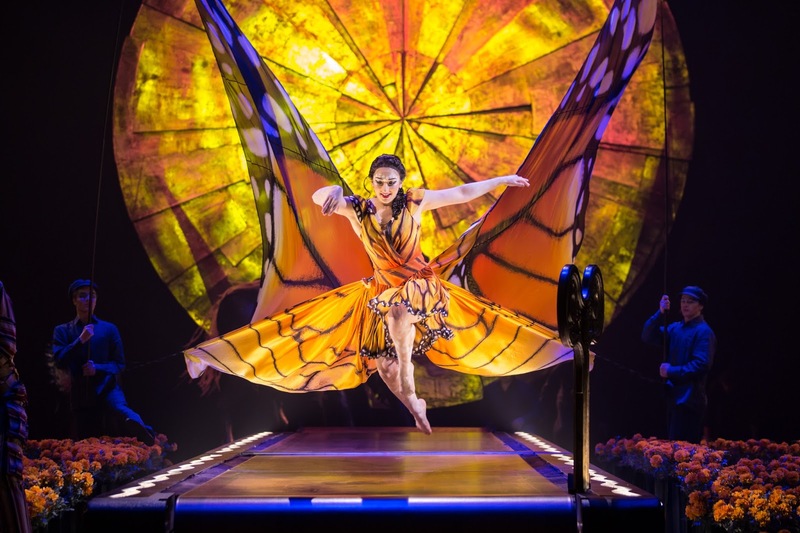 Luzia will be in the OC Fairgrounds until March 25. Tickets can be purchased through Ticketmaster. Prices range between $62 and $290 dollars. Tickets can also be purchased through Goldstar, prices are a little lower and do not have the added handling fees Ticketmaster has. The white chapiteau is small so basically any seat is a good seat. I recommend back row center, so you can appreciate everything.